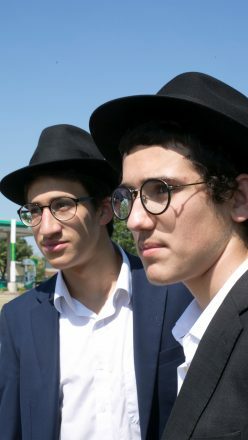 Levi and Moshe Weiss, 14, engage in chevruta-style study before going out with other pairs of Friday Boys to bring Yiddishkeit to Jews on their route along Northwestern Highway. 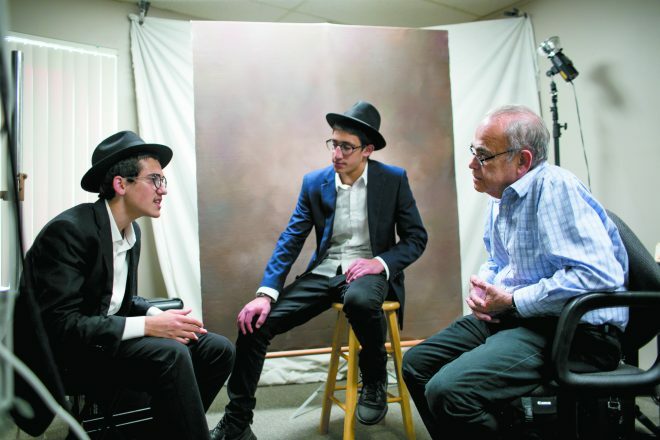 Chabad teens touch souls with their devotion to Jews and Judaism. 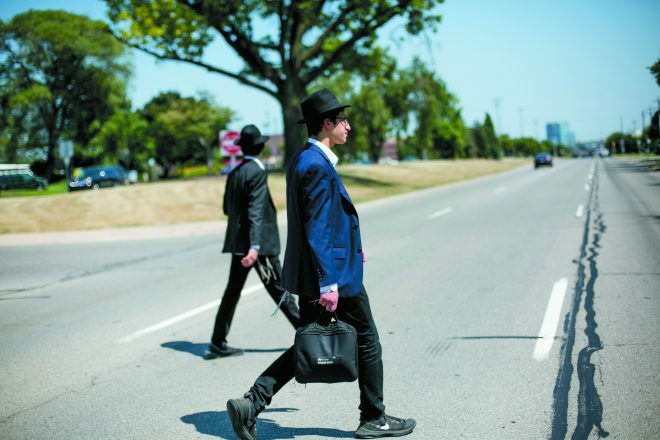 For more than two decades, students at the International School for Chabad Leadership on the Harry & Wanda Zekelman Campus in Oak Park have spent their Friday afternoons traveling throughout Oakland County bringing Jews closer to their faith. They are lamp lighters whose job is to touch souls. and recite the appropriate blessing. 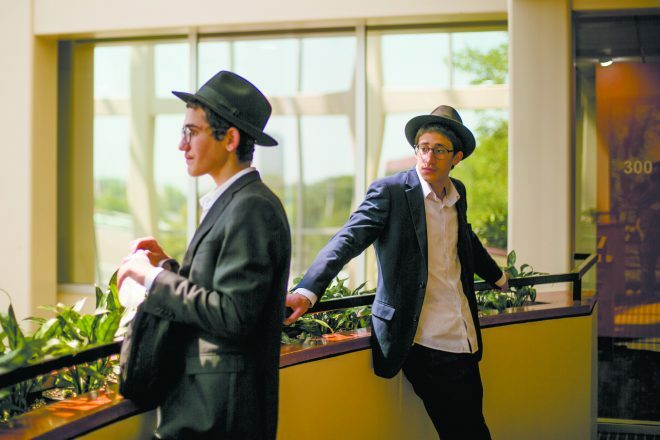 Levi Uminer, 16, and Moshe Weiss, 14, are close friends and Friday Boys partners. 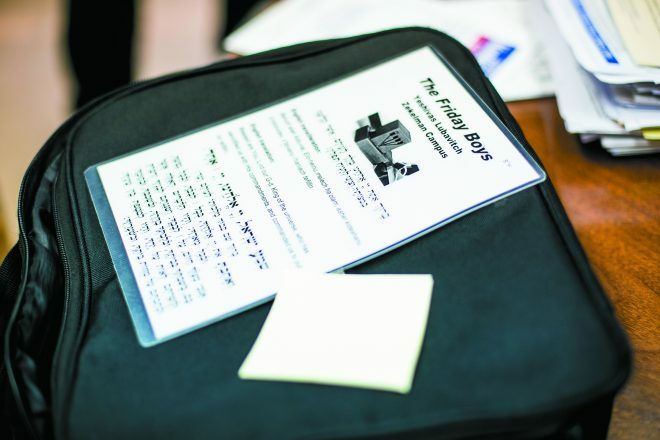 Every week, a few hours before Sabbath, they hop in a van or small bus with other boys to be dropped at their recurring route along Northwestern Highway in Southfield. There, they meet with a series of regulars. The boys are willing to endure all types of weather to complete their weekly rounds. “It gets pretty tough going out in the winter when there is snow and sleet and our hats go flying into Northwestern,” Levi says. He prefers the warmer weather of his hometown, Chestnut Hill, Mass. 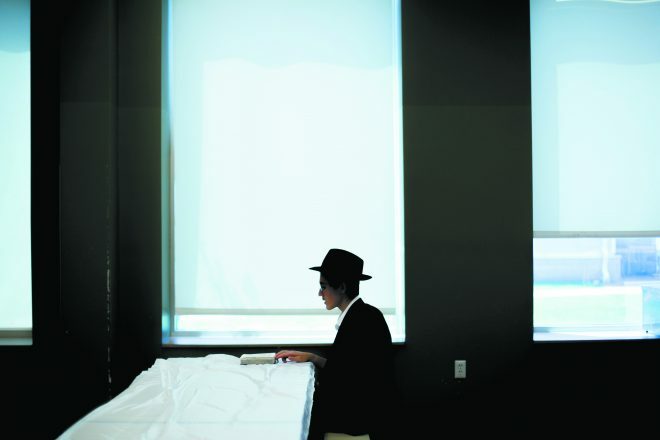 The late Lubavitcher Rebbe Rabbi Menachem Mendel Schneerson had a number of “revolutionary ideas,” says Rabbi Mendel Shemtov, director of the International School for Chabad Leadership. “One was to send out these emissaries.” But, in 1994, the idea that yeshivah students as young as 13 could fulfill this role was far from certain. 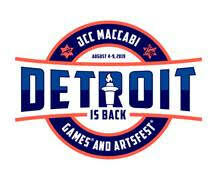 That first week, Shemtov rented a small school bus and dropped his students off on Civic Center Drive in Southfield. 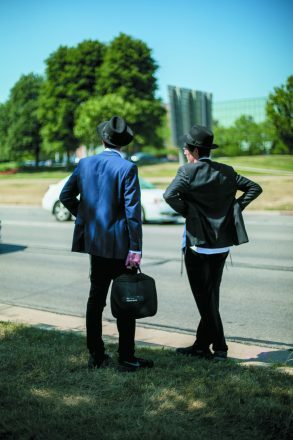 A day in the life of a pair of Friday Boys as they make their pre-Shabbat rounds of teaching, learning, sharing Yiddishkeit — and teen-age fun. 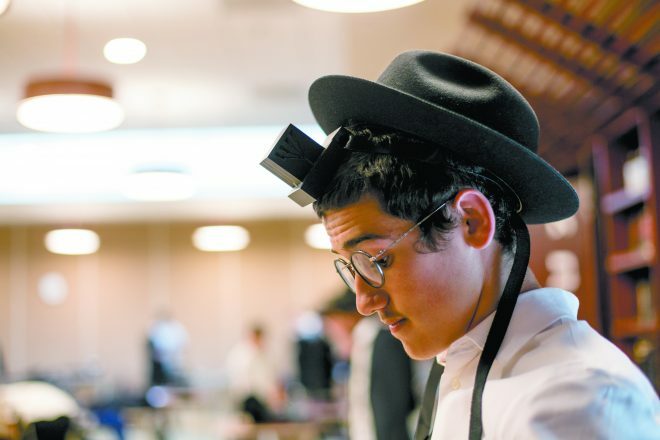 Levi Uminer, 16, a student at the International School for Chabad Leadership in Oak Park, puts on tefillin as part of his morning routine. Levi and Moshe must cross busy Northwestern Highway a few times on their way to visit regulars on their route. 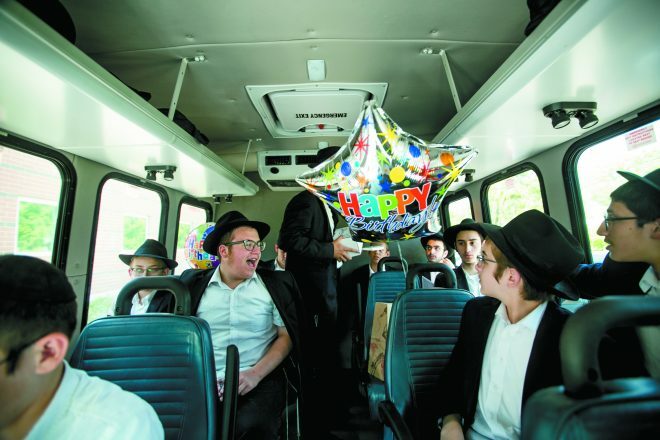 BELOW: Some of the Friday Boys, including Levi and Moshe, share a quick ride in a small bus to their routes; meanwhile, other pairs are bound for areas such as Birmingham, Troy, Royal Oak and Huntington Woods. The school’s 84 students, all Friday Boys, come to the boarding school from across the U.S. as well as from many other countries. 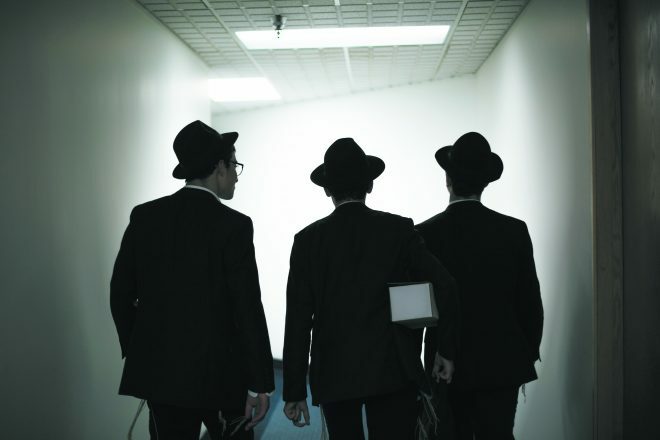 Most travel home to their families for major Jewish holidays. Moshe has 10 siblings and Levi has nine. 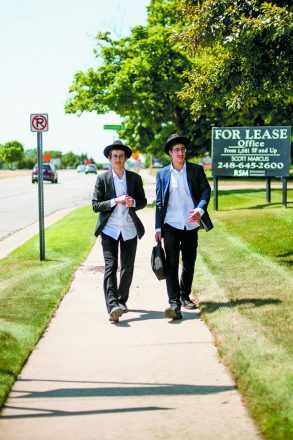 After four years in Oak Park, the students enter yeshivahs, where they will study to become Chabad rabbis. 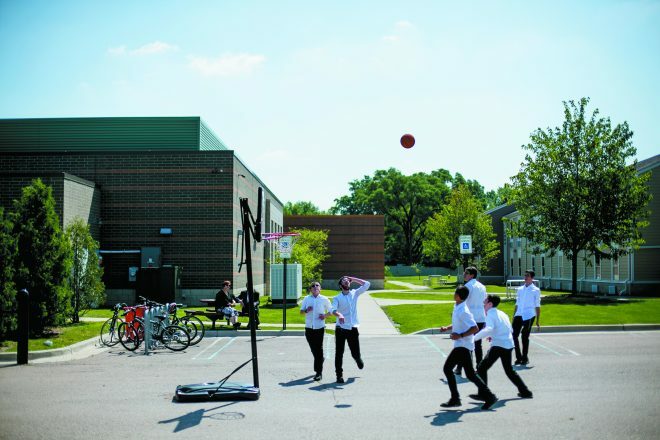 In the parking lot between the main building and their dorms, Friday Boys engage in a pick-up basketball game in the parking lot. Students also have bikes and other forms of recreation open to them. The teens, who are good friends, relax in the dorm room they shared this summer. Moshe and Levi wait for traffic to slow on Northwestern Highway once again. 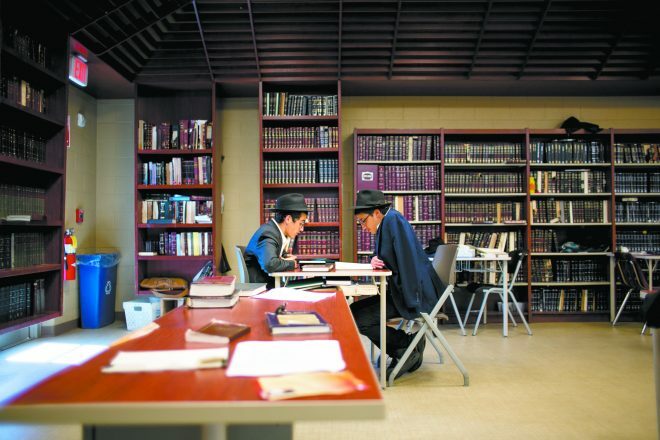 When it comes to discussing the week’s Torah portion, Levi, the more talkative of the pair, usually delivers the interpretation that includes food for thought and action; Moshe needs a little more prodding to add his take, which brings another layer to the interpretation. During visits, the teens also chat, joke and banter to get to know the people they visit — and they let them know more about their lifestyle, too, which, unlike most teens, keeps them off TV and the internet. This give-and-take allows the boys and their regulars glimpses into each others’ very different ways of life. 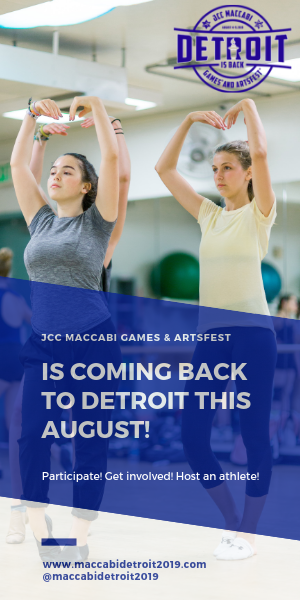 Here, they are in the studio of Murray Goldenberg in Southfield. 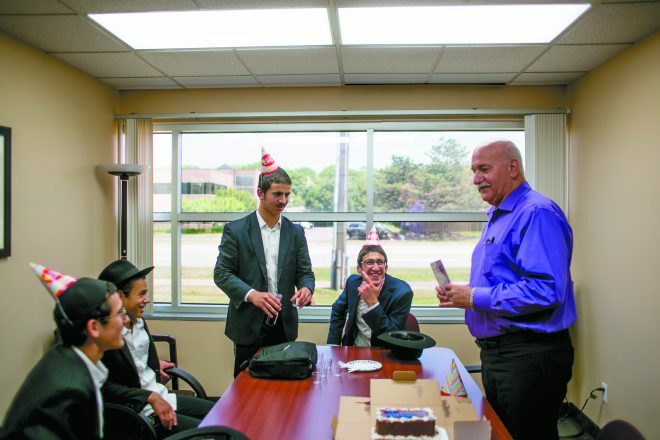 Levi and Moshe join another pair of Friday Boys to celebrate the Jewish birthday of CPA Jay Kalisky in his office on Orchard Lake Road in Farmington Hills. 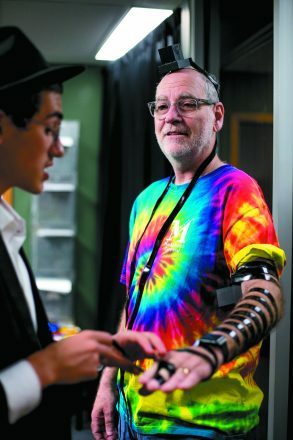 Paul Stoloff, a visitor to photographer Marty Abrin’s Southfield office, pays attention as Levi explains the importance of putting on tefillin. 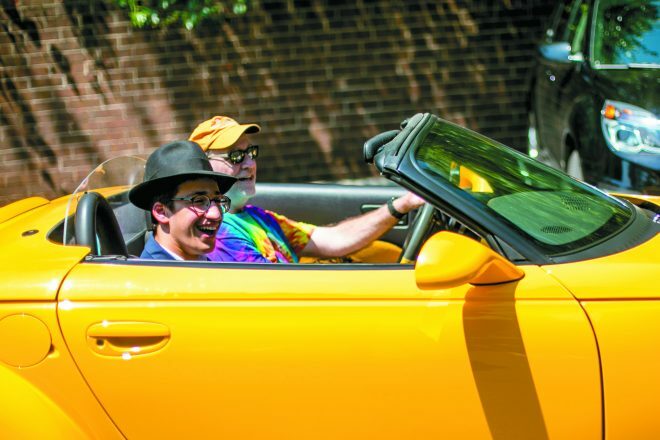 Though he’s the quieter of the pair, Moshe reacts as any delighted teen would to a ride in Stoloff’s sports car.